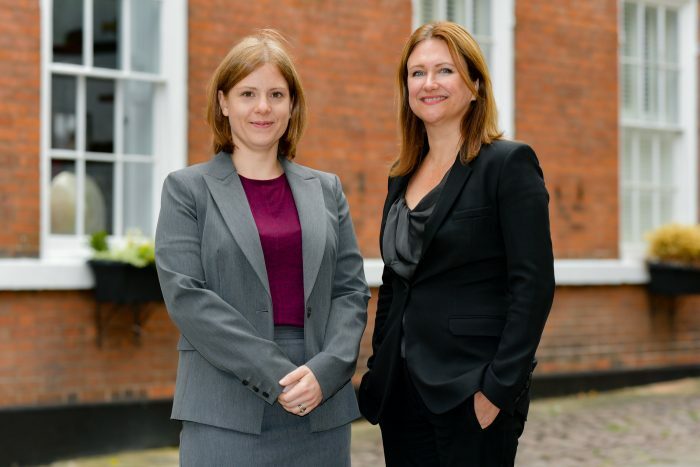 Catherine Gritt, left, with Clare Brady, MD of Brady Solicitors. Nottingham-based property management law firm Brady Solicitors has recruited property dispute resolution specialist, Catherine Gritt, as Head of Litigation. Catherine brings a decade of specialist property and commercial litigation expertise, including six years in the national property litigation team at Squire Patton Boggs and, most recently, at Fraser Brown solicitors in Nottingham. In her new role as Head of Litigation at Brady Solicitors, Catherine is responsible for overseeing the swift and effective resolution of leasehold and service charge disputes across the firm’s core work in the residential property management sector. She has further expertise in complex construction claims that brings an increased level of support for Brady Solicitors’ leasehold block management client base. Commenting on her appointment, Catherine said: “I am delighted to join Brady Solicitors and to be able to pursue my passion for property litigation in a law firm that is building its own model of success. Property disputes tend to be quite technical in nature, and there is always something new to be discovered. Catherine works alongside MD Clare Brady and Head of Operations Jonathan Watts and manages a team of three lawyers, including Alexandra Byard who joined the firm in February 2018. Catherine studied law at Durham University and is a member of the Property Litigators Association. She was listed as an ‘Associate to Watch’ in the industry bible Chambers & Partners 2018.